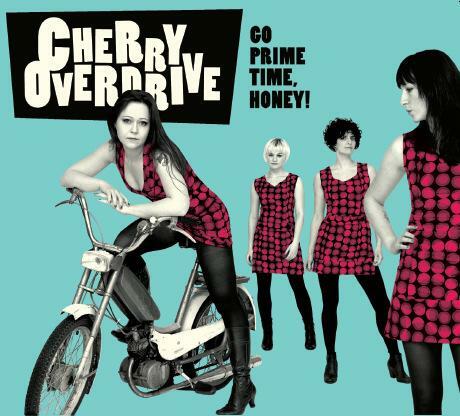 Cherry Overdrive - "Go Prime Time, Honey!" The all female Copenhagen Garage rock band, Cherry Overdrive are back with their second full length record and this one is a winner. The band have really stepped up and written a really diverse set of songs for this record and the production is very nice and not too slick. The record features strong drumming from the newcomer as well. I really like the diversity of this record. It starts off with Count Me In, which I would say is a pretty standard uptempo Cherry Overdrive track but then things start to change. Shut 'em Up has some cool organ which changes their sound. I should mention that everyone but the drummer contributes to the lyrics as well on the record. Little Lady once again features some cool organ. My favourite track, which is actually out of the ordinary, is called Lay you Down... I just love this one..."Sunny side of the Ocean"..... Black Beatles is another favourite of mine. A bit more produced but an excellent record. Get this one!